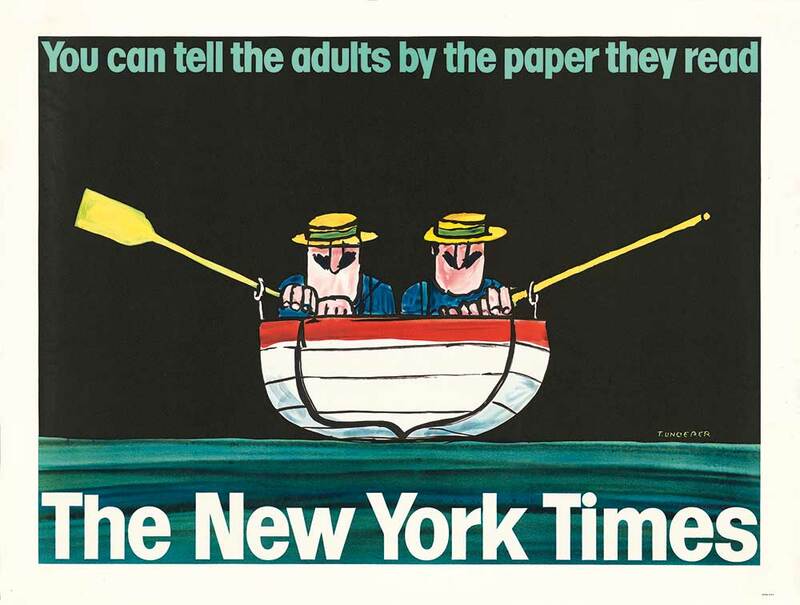 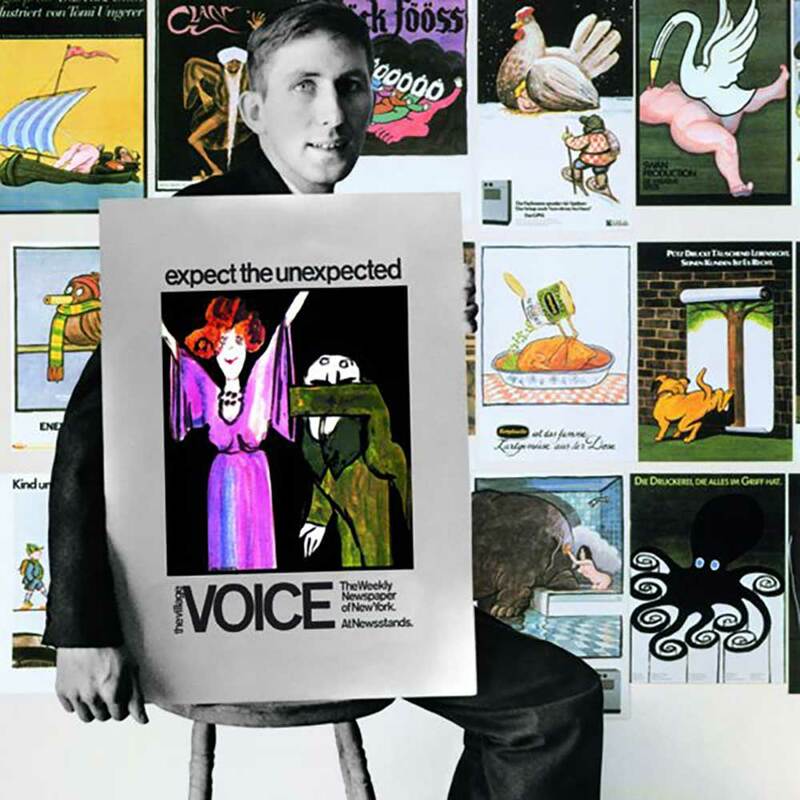 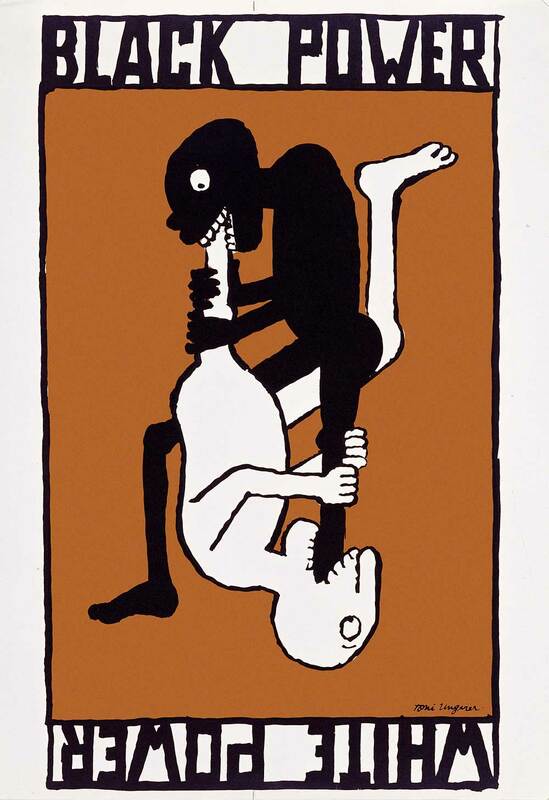 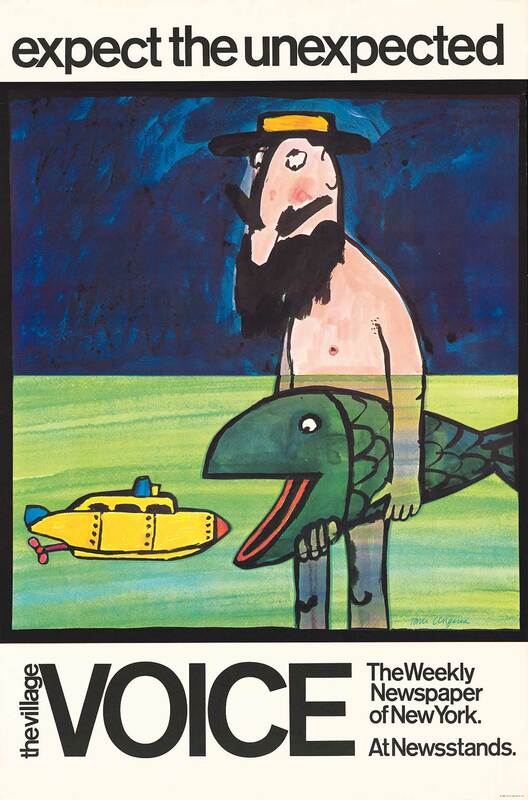 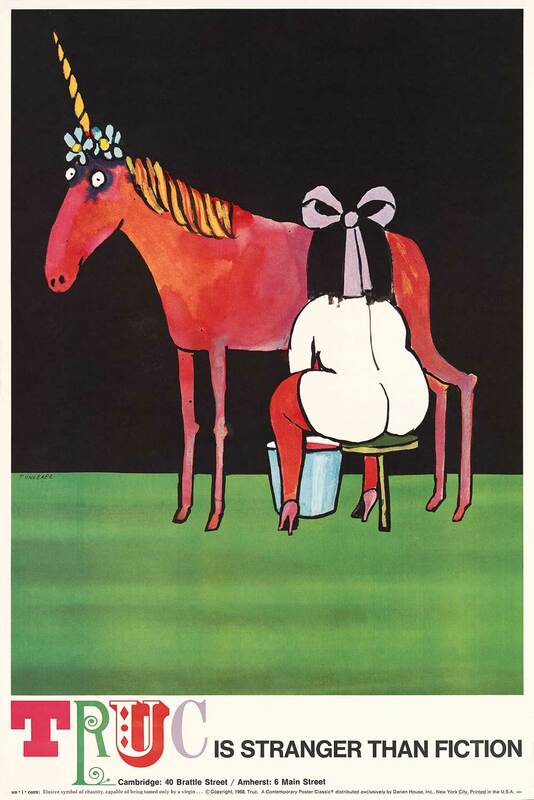 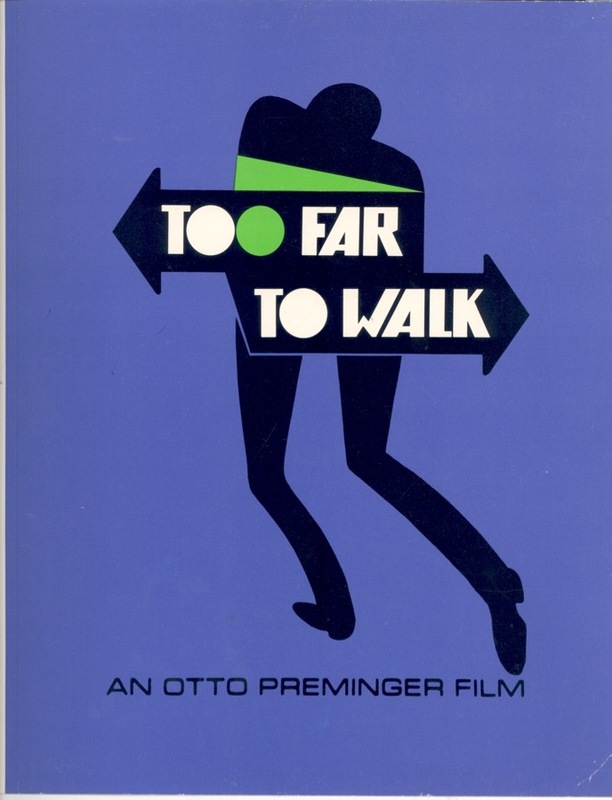 Tomi Ungerer’s name is in some ways synonymous with posters. 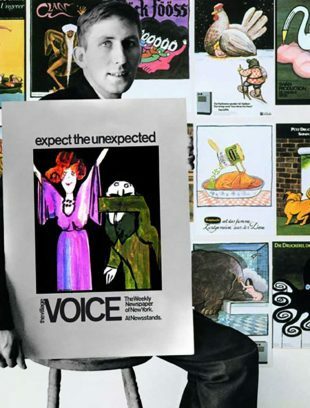 He has excelled in the medium since the 1960s with successful advertising campaigns for magazines such as the Village Voice and New York Times. 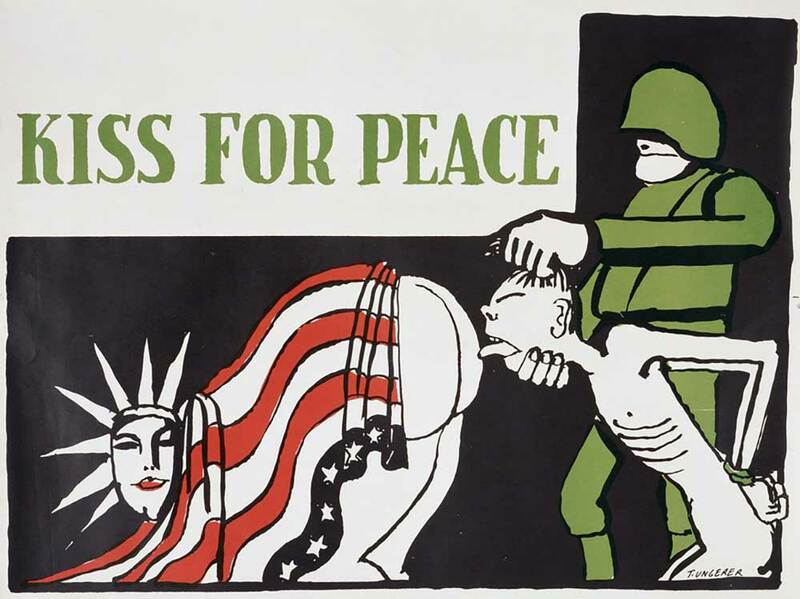 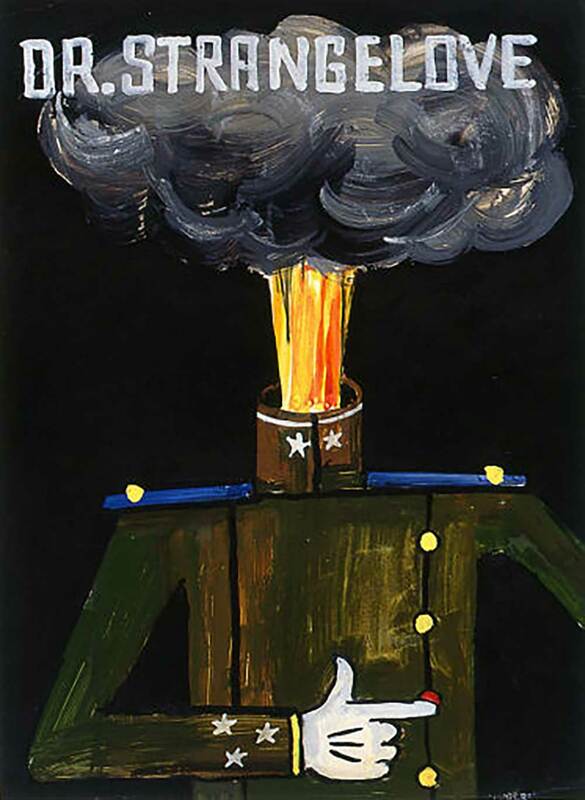 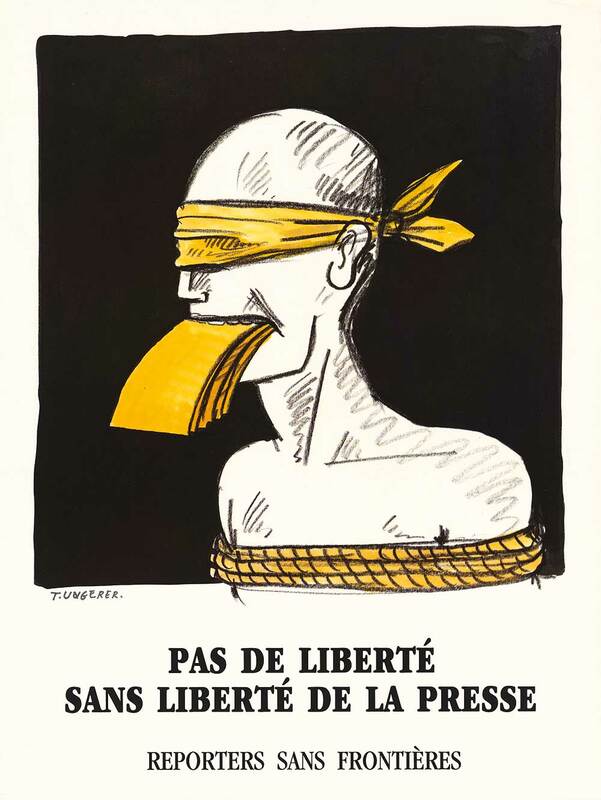 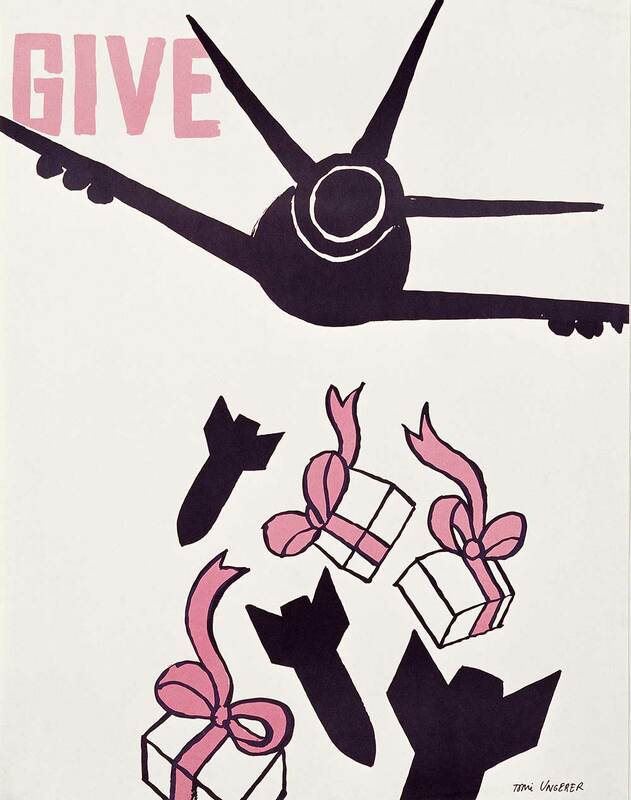 During this epoch he also self-published now iconic political posters against the Vietnam War. 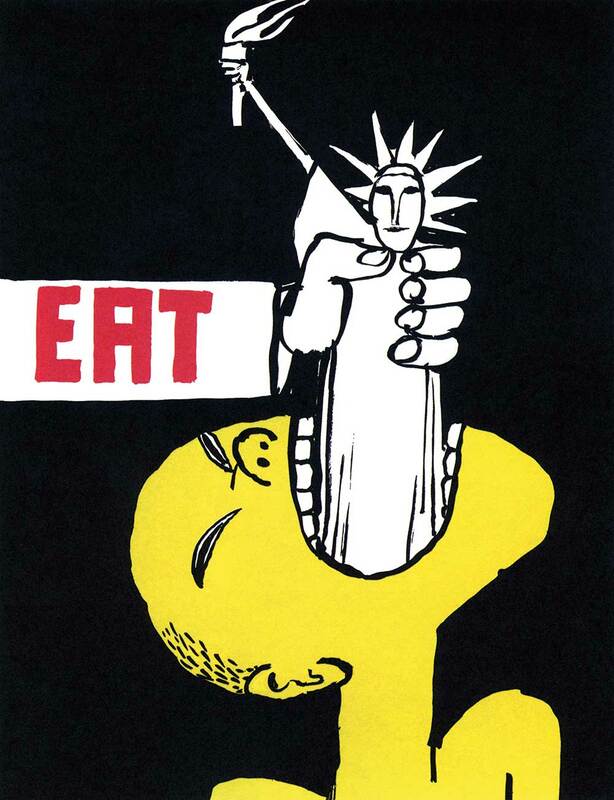 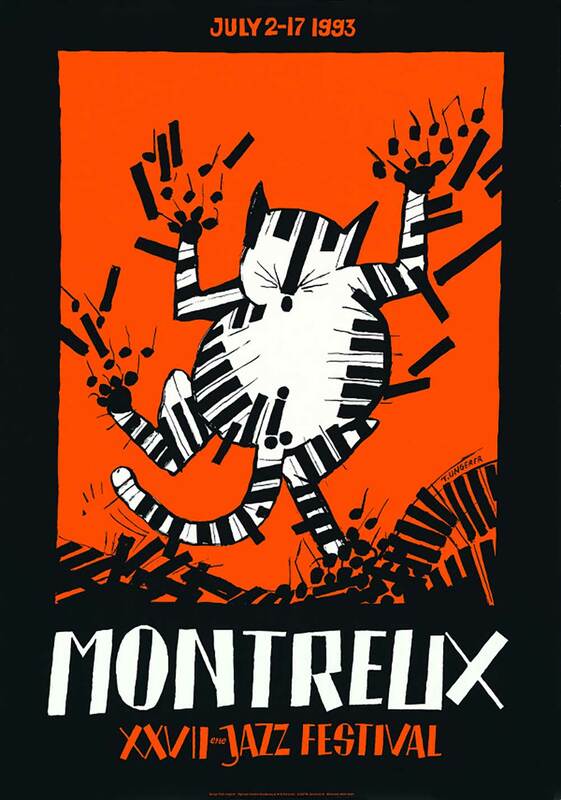 He has designed posters for films such as Dr. Strangelove and commercial advertising such as his famous campaign for Bonduelle during the 1980’s alongside posters for cultural events and political causes. 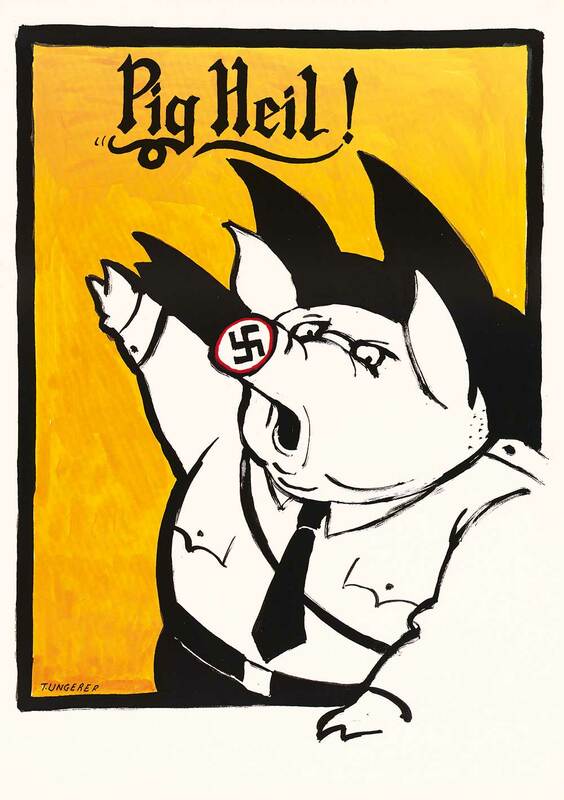 Below is a very small sampling of his poster art.